As you put on your best costumes, prepare feasts, and deck the halls during the holidays, be sure to keep lighting safety top of mind when it comes to your holiday lights and displays. Even the smallest of oversights can cause a disaster. Small fires can spread quickly. Use lights that have been safety tested (look for a certification mark from UL, CSA, ETL) and consider using LED lights which run cooler, last longer, and use less energy. Stick to the instructions on the packaging, and avoid use if there are loose wires, cracks or damaged, and plan displays around available outlets (to not overload). Unplug lights before making any repairs or replacements. When assembling, use a max of three strands of lights per each extension cord. If you prefer traditional candles, do not use them on trees and please consider using battery-powered candles. Read more on candles in our Winter Fire Safety Tips post. 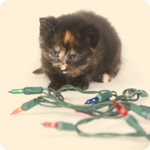 Keep pets away from all cords and decorative lighting. Do not run wires under rugs. 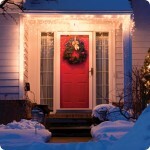 Make sure all lights and displays are intended for outdoor use. Use portable GFCIs (ground-fault circuit interrupters) to reduce the risk of electric shock. Plug all lights and displays into GFCIs. To help prevent wind damage and other potential hazards, use clips or plastic fasteners to secure cords, lights and other decorations. Avoid staples and nails to help keep wires, cords and insulation clear of damage. Keep all decorations and accessories at least 10 feet from power lines. Use wooden or fiberglass ladders when hanging lights and displays. Keep lights and displays ventilated, to protect from heavy wind and snow. 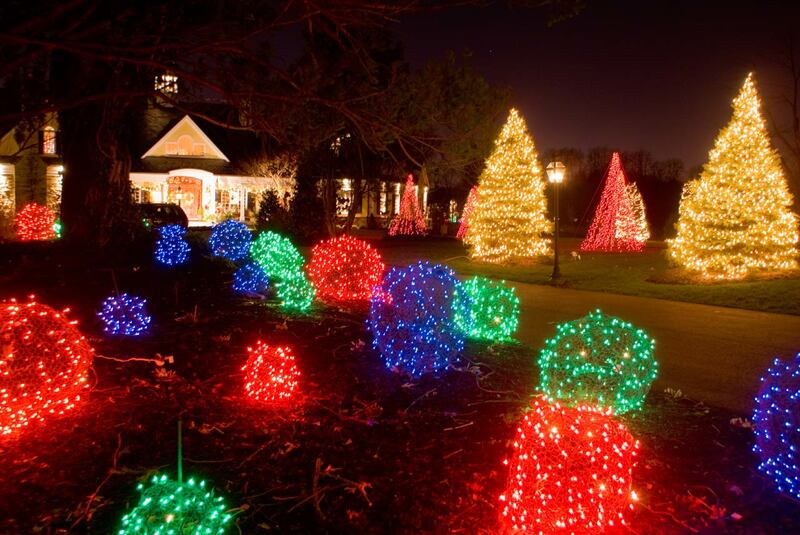 Take down and pack up all electrical lighting and displays promptly after the holidays. Do not delay, so that you can help prevent accidents and lengthen the life of your decorations. Please be safe and smart. Make great memories and enjoy your holidays!